Thank you for visiting our website. The Concord Police Association is a non-profit organization that represents the 153 sworn men and women police officers of the Concord Police Department. Our Association is proud to operate one of the leading Law Enforcement Training Centers in Contra Costa County. In addition, we offer a banquet facility/training hall that has been accommodating social and corporate functions since 1985. We hope you find this website useful and informative. Access availability for our Main Hall through this website. Check our calendar and send your request to us. Wren Ave School Principal Aline Lee, poa President Ron Bruckert, and student Shaylynn Caban. 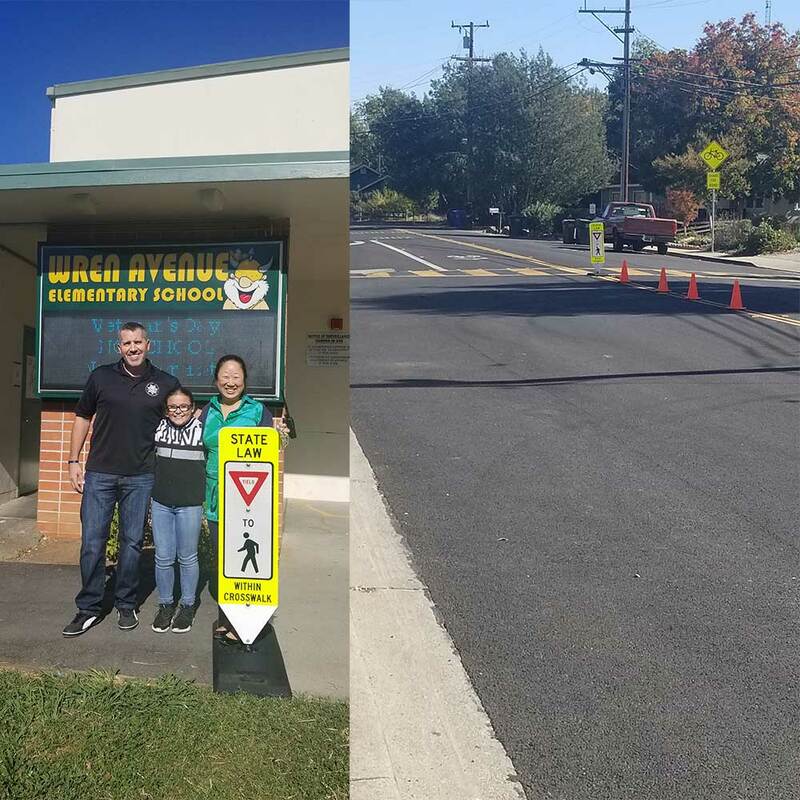 Concord police association donated two pedestrian crossing signs to wren ave school to promote pedestrian safety and remind drivers to yield to pedestrians in the crosswalk.